It’s been a while since Razer has refreshed the Razer Blade Pro, which is their 17.3-inch desktop replacement laptop. The outgoing model still has a Haswell processor with GTX 960M. It’s always been a bit strange that the 14-inch Razer Blade was equipped with a stronger GPU than the larger laptop, and when the Razer Blade Pro was last updated, the Razer Blade had a GTX 970M in a smaller form factor. This is no longer the case. 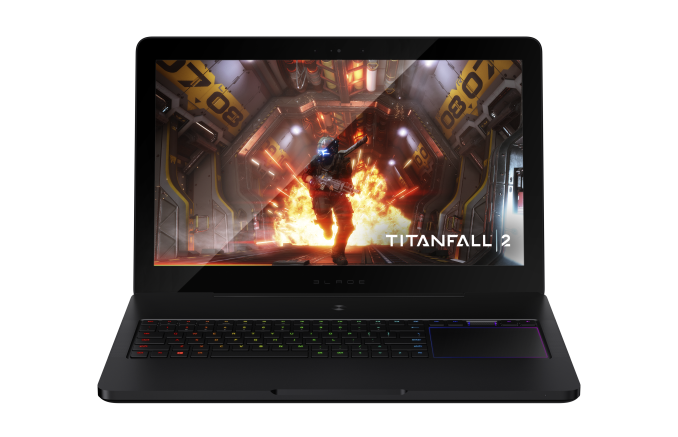 The 14-inch Razer Blade was just updated with Skylake and GTX 1060 in September, which should significantly increase its performance, and today Razer is announcing the new Razer Blade Pro, which finally surpasses its smaller sibling in performance with a NVIDIA GeForce GTX 1080 squeezed into the same 0.88-inch thick CNC aluminum chassis. The Core i7-6700HQ 45-Watt CPU replaces the outgoing Haswell processor, and 32 GB of DDR4 RAM is now available. 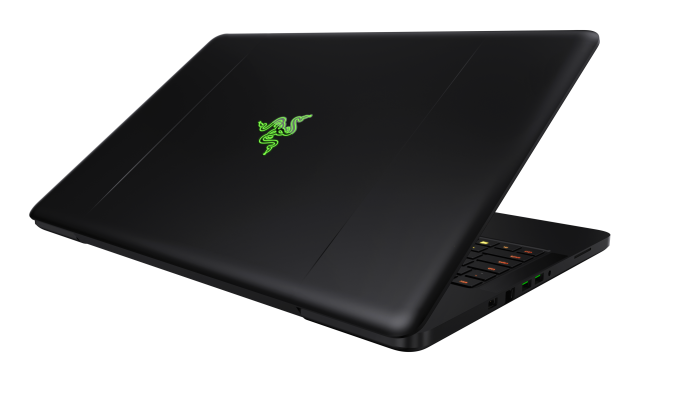 In order to keep the system cool, Razer has designed what they are calling the world's thinnest maufactured vapor chamber cooling solution in a laptop. Combined with a custom fan design and a dynamic heat exchanger, Razer is engineering as much cooling as they can into the thin notebook. Razer has been a big proponent of IGZO displays, and they have outfitted the Blade Pro with a 17.3-inch 3840x2160 IGZO display, and this high-resolution panel also supports NVIDIA’s G-SYNC technology, which should help quite a bit with gaming, even with the big GPU under the hood. This display covers 100% of the Adobe RGB color gamut as well, just like the Razer Blade Stealth UHD model. That has implications though due to the lack of proper color management in Windows, and if it is like the Stealth, it won’t have any included color management software. It’s not Razer’s fault, and hopefully more devices with wide color gamut support will force Microsoft’s hand here. Razer has also outfitted the new Pro with their new ultra-low profile mechanical switches, which feature actuation points which register at 65 grams, as well as reset points. There have been other laptops with mechanical switches, but they are generally the full-size switches which require much more travel. On a 0.88-inch thick laptop, there would be no way for this to work. Razer has also added the same per-key RGB Chroma branded lighting they have already added to both the Stealth and Blade models. The TrackPad sits to the right of the keyboard, much like on the older model, but if you are gaming, a mouse is likely the best bet. At under eight pounds, the new Blade Pro is actually pretty light for a system of this size and performance. The new Razer Blade Pro exceeds the requirements for any of the current VR headsets, so it should be able to run VR pretty well. All of these features do add to the cost though. 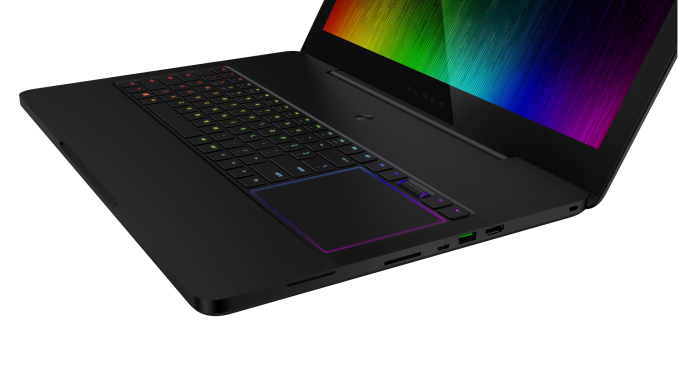 Where as the new 14-inch Razer Blade starts at $1800, the new Razer Blade Pro starts at over double that price: $3700. Shipments start in November. My first throught would be to wonder if there was a suitable 18.4" panel available. There was a year or two interval when 1440p or higher panels were available for 13.3" laptops but high DPI was still niche enough that nothing better than 1080p was available at the 15 or 17" classes. Install the Qualcomm drivers, they are less crappy and that all Killer is, buggy drivers on top of crappy silicon that will see one or two software updates..